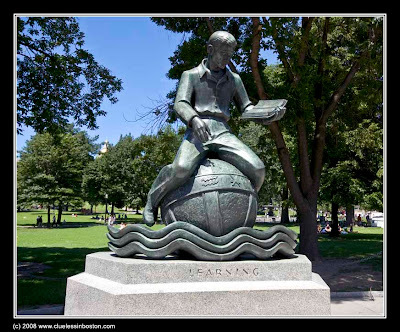 Statue to learning on the Boston Common in front of the Visitor Center. In the background you can just make out the golden dome of the State House. Enjoying the tour of your city through your photos. The Harbor Flowers shot, by the way, is wonderful. They pass at such irregular intervals!!!"